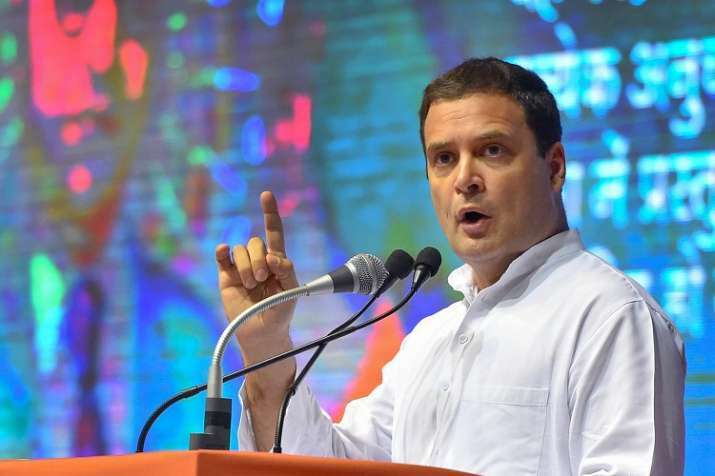 Taking a jibe at Prime Minister Narendra Modi over the proposed H-1B visa rules, Congress President Rahul Gandhi termed it a “huge setback” for India, adding that there were "some things a hug can buy", but for visas "you're on your own". Gandhi's remarks come amid Trump administration's plan to propose to end giving work permits to the spouses of H1-B visa holders to work in the US, a move that could have a devastating impact on tens of thousands of Indians. "New US Visa Rules, huge setback for India...," the Congress president said on Twitter. "There are some things a hug can buy. For visas, you're on your own," he said in a wordplay on the MasterCard ad campaign which says, "There are some things money can't buy. For everything else, there's MasterCard". "Foreign Policy by Narendra Modi, Foreword by Donald Trump," Gandhi said mocking the government's diplomacy. Gandhi has earlier also attacked the prime minister over what he termed 'hugplomacy' after Pakistan released 2008 Mumbai attacks mastermind and Lashkar-e-Taiba chief Hafiz Saeed from house arrest.